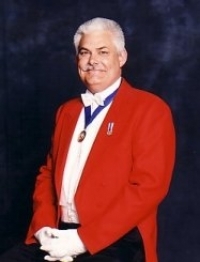 The task of a good Toastmaster or Master of Ceremonies goes well beyond that of merely a loud voice banging a gavel. His spectrum of activity is the overall co-ordination and steering of every type of event calling for a degree of formality. His punctilious attention to detail and continual unobtrusive liaison throughout your event ensures that it flows smoothly and apparently effortlessly to a successful conclusion. Available for wedding ceremonies, receptions, dinners and events around the south of England including, Hampshire, Berkshire, Wiltshire, Dorset, Oxfordshire, Surrey, Sussex, Kent, London.